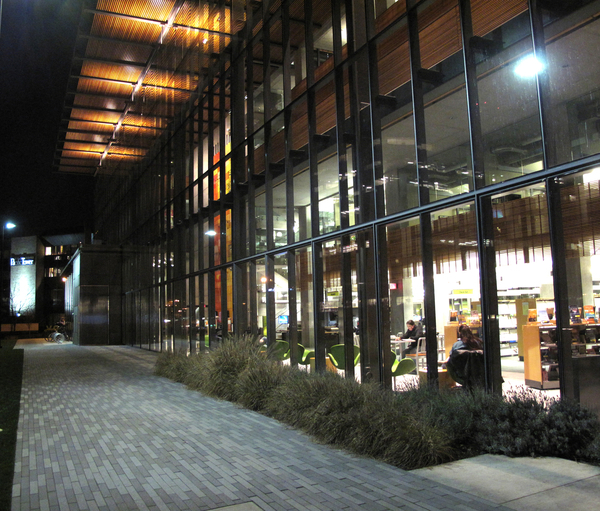 Description: "Your New Main Library"
Hailed as a regional destination and downtown Vancouver's sparkling gem, this new 83,000 square foot main library was made possible through voter-approved bonds and philanthropy. Land for the building was contributed by developers George and Lance Killian, and Vancouver residents Jan and Steve Oliva provided a major contribution that significantly lowered the bond costs for Vancouver residents. The building opened to the public on July 17, 2011.